Happy Friday! Today we want to introduce you the newest member of the It’s Sew Emma family, Little P! Named after one of Emma’s little brothers, Peyton, our Little P’s are excellent for anyone short on time. (No exaggeration here; all of the samples were sewn up in four hours or less.) 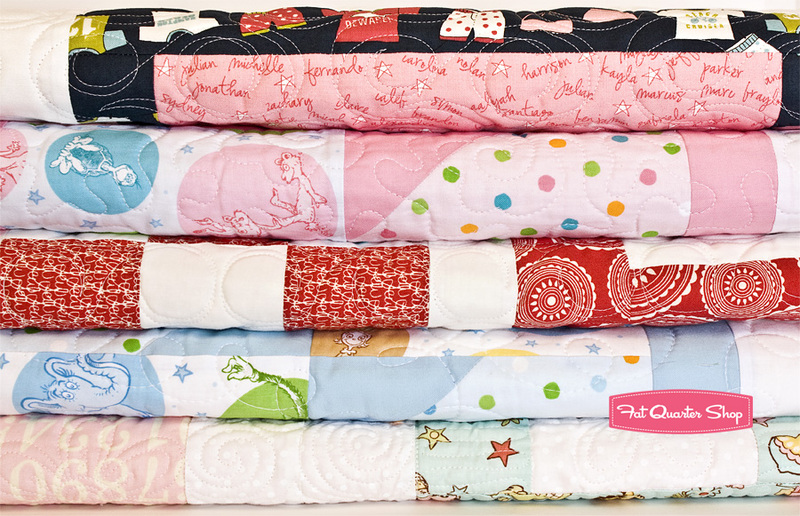 Little P also stands for “Little Pattern” – these adorable pocket-sized mini patterns have some serious shelf appeal! So why are Little P’s so wonderful? Five little reasons. They are super simple. All straightforward, easy piecing. They use just a few fat quarters and one background print. Time to dig your favorite prints out of that bundle you’ve been saving! They’re DOABLE. This has been a word we’ve heard from many of our testers. For anyone wanting to try their hand at a quilt for the first time, these are perfect! They’re inexpensive. These cute mini patterns retail at just $5.99 each! They’re just plain cute, oh-so-cute. If I had a nickel for every squeal these little darlings have mustered! Here are our first four Little P’s: Dots ‘n Tots, On the Boardwalk, Tic Tac Toe, and Tumbling Blocks! Start collecting your Little Ps now and see how many cute combos you can come up with! We’ve paired them with soft and scrappy collections and bright bold collections alike, and they all turned out great! Another funny thing about small and fast projects is that they tend to multiply! For everyone out there headed to Spring Market (a mere 13 days away) let’s see how many Little P’s you’ll be able to spy hanging about. Shop owners, you can find Little P’s stocked at United Notions and Brewer!